These 'rules' are not serious, really. Except the ones that are. Clergy inhabit a fantastic, pressurised, privileged, frustrating and humbling role. They get to join in the highest and lowest points of people's lives, often on the same day. They have experiences. If they are very skilled they learn from them as well as laugh about them. This book is for to clergy like me, and anyone who does anything like the job of a parish priest. You might just recognise a few things, and you'll probably be able to think of some more. And it's for everyone we work with, minister among, share with, pray for and meet with. Normal people. 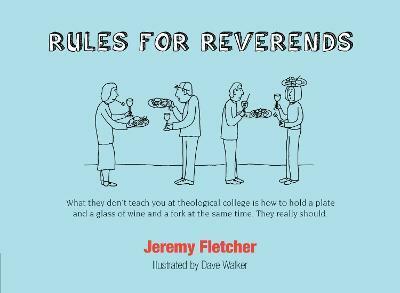 If you're not quite sure what your ministers do all day, what they think about things, why they wear strange clothes, or what they really want to do with their congregation at the end of a busy Sunday, then Rules for Reverends will give you a clue.